How Do I Train my Dog to Walk on a Leash? Dogs and walks go together like strawberries and cream, and if you sign up to canine ownership, you most certainly need to be prepared to spend a great deal of time on your feet. Exercise is very important for these four-legged bundles of energy, and most owners find that they take their dogs on at least two short walks a day for them to ‘do their business’, as well as much longer hikes at weekends. Regardless of where and how far you are taking your canine companion, learning to walk nicely on a leash is an extremely important skill. Why is a leash so important? Some owners balk at the idea of putting their pet on a leash, claiming it is unnatural and unfair. Nevertheless, teaching your pet to walk on a leash is essential for a number of reasons, not least for his safety. Even the best-behaved dog may have moments of unpredictability. Running off, darting into the path of other people or even traffic can spell disaster for your furbaby, especially if he becomes lost, hurt or both. Wearing a leash and walking nicely on it in some situations is crucial for you to keep him safe. Another reason to keep your dog on a leash is the presence of other people and animals. Opportunist thieves, young children who are inexperienced with handling over-zealous or possibly wary pets and other curious dogs and wildlife could all prove very tempting for your lovely canine pal. Unfortunately, it is impossible to know how they or your pet will react, and again, this could put him or them in danger. How can I get my dog to walk nicely on a leash? A dog is never too young to learn to wear and walk on a leash. If you opt for a harness rather than a collar and leash, the way it feels may take a little getting used to if he has never worn one before. Introduce the leash gradually, beginning by leaving it in front of him and allowing him to explore it in his own time. He may sniff it and lick it to satisfy his curiosity about it. Then gently pop it on him but leave him unrestrained so that he can walk around. This will help him adjust to the new sensation of wearing it. 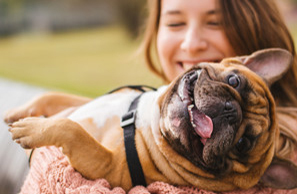 Once your furbaby seems relatively comfortable wearing the leash or harness, you can start by taking him for a walk around your yard or property. This gives him a taste of what it feels like with you holding the other end, and he can begin to understand that it will be used in your company. Start with walking for a minute or two, and gradually increase the length of the walks until you are covering a block or two. You don’t want your dog to walk directly under your feet or darting around in front of you. This could cause you to trip and fall, which could mean that you land on your pet. It is much safer if you encourage your dog to walk alongside you instead. However, pick a side and stick to it. If you allow him to change sides frequently you could get tangled up. Another key aspect of successful walkies to master is preventing your pet from pulling on the leash. All dogs do it from time to time, but if he does it all the time he risks hurting his neck or back. He could also hurt you if you are pulled over and become injured which is a distinct possibility if your pet is stronger than you are. To train your pet not to pull on the leash you need to reward him every time he doesn’t! If he walks so that the leash goes slack, give him some praise and attention, or a small, edible treat. If he starts to pull, then ignore him but reward him again as soon as he resumes walking nicely. He will soon recognize that the best way to please you and to receive his treats is to walk nicely alongside you. 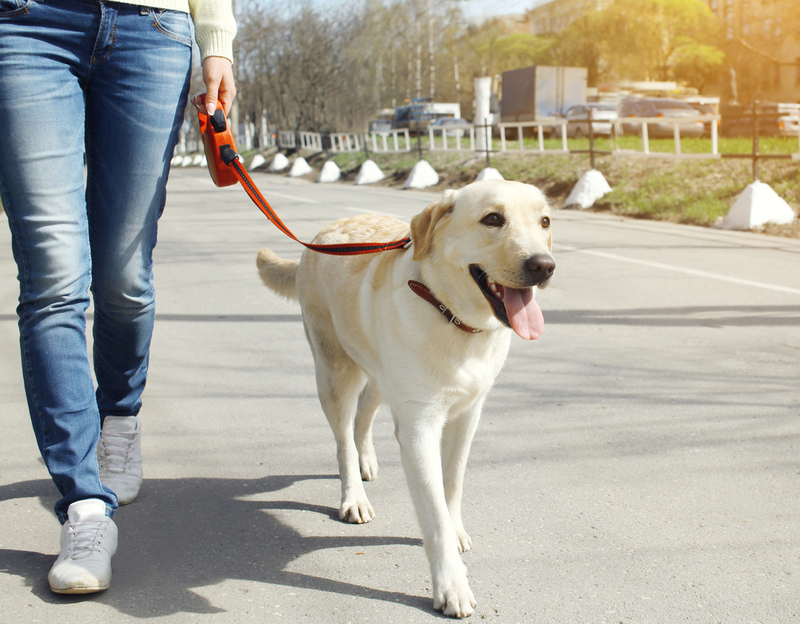 If you need further tips on how to get your furbaby to walk nicely on a leash and make walkies a joyful, bonding experience for both of you, speak to our veterinary office. Thank you for your message. We will respond to you as soon as possible!